Milltown, NJ -- Cutting Edge Sports Management is pleased to announce that Brenda Hale, eight-term President of the Roanoke Branch NACCP, has been awarded the 2019 HBCU Spirit of America Community Service Award for her outstanding service to the Roanoke community. The award recognizes a person who has made significant contributions to their community through their time, talents and dedication; and who is recognized as a role model for compassion and service while striving to make the world a better place. Brenda Hale is being honored for her leadership in the community and her selfless work towards improving our society. Brenda served her country in the United States Army as a nurse working in Germany and in Hawaii before retiring in 1978. Brenda worked with military veterans at the Salem Veterans Affairs Medical Center for over 13 years. Brenda is also an active member of the Loudon Avenue Christian Church. She is a Life Member of many organizations including the Southern Christian Leadership Conference, founded by Dr, Martin Luther King, Jr., whose ideals were the inspiration for the Dream Bowl and HBCU Spirit of America Bowl. Neil Malvone, CEO and President of CESM stated, “Brenda Hale was the perfect individual to receive this honor. Brenda represents the fundamental characteristics that exemplify the HBCU Spirit of America Community Service Award. She is known for her integrity, professionalism, her dedication to the Roanoke community, and her passion for the rights of all members of our society.” HBCU Community Service Award committee member Rachel Gage stated, “Whether it is working for the NACCP and its causes for the African-American community, the youth of our community with her work with the Total Action for Progress organization; or working with delegates in Virginia to ensure equal rights for women, Brenda personifies community service and giving back to others, and is a worthy winner of our inaugural award”. 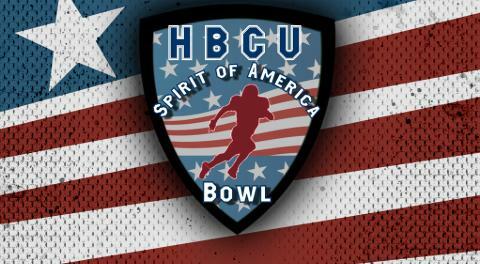 Cutting Edge Sports Management, parent company of the Dream Bowl and the HBCU Spirt of America Bowl, is proud to invite Brenda Hale to receive this award and be honored at halftime of the 2019 HBCU Spirit of America Bowl at Salem Stadium on January 20, 2019.